Metrology is fundamental in improving productivity, enhancing product quality and increasing profitability. Previously the Commercial Director of a successful metrology laboratory, Ben also has extensive experience in the aerospace industry leading major manufacturing research programmes for Airbus. 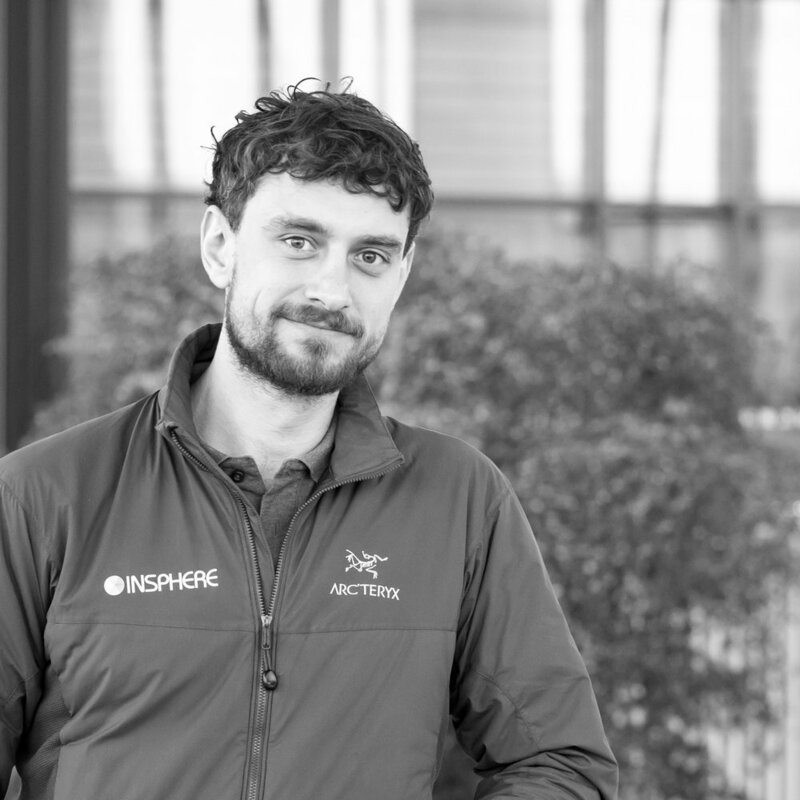 With hands-on expertise in large volume metrology and an Airbus sponsored PhD in metrology embedded tooling, Ollie leads the technical solutions development and delivery at INSPHERE. Having led industrial metrology projects for Rolls-Royce, GKN, Airbus and Vestas to name a few, Craig has significant experience in understanding the needs of high value manufacturing companies and delivering solutions to match. Previously the Managing Director for Güdel UK, a multi-million pound automation company providing solutions in advanced manufacturing, Gary has joined INSPHERE to lead the sales and marketing. He brings a wealth of business development experience and knowledge of advanced manufacturing industries that will be instrumental in bringing our product portfolio in development to market. With a PhD in Aerodynamics and experience with Additive Manufacturing, Tom conducts much of our research activity developing new applications of metrology in support of advanced manufacturing techniques. An expert in all aspects of metrology with a particular focus on complex applications of large volume measurement systems. Bingru's PhD on thermal and dimensional influences in manufacturing has allowed him to develop unique solutions to the integration of metrology and automated, CNC manufacturing processes. With an aerospace background at GKN, Jon conducts much of our research activity developing new applications of metrology in support of advanced manufacturing techniques. His experience with software coding has proved invaluable in creating solutions to integrating metrology software with automation. Jon has led some of INSPHERE's flagship projects including the development of non-contact inspection using industrial robots for aerospace applications. Helen’s PhD in constraint-based thinking and academic background in engineering design has meant she is well placed to help communicate INSPHERE's message to a varied academic and industrial audience. Helen is able to determine the key attributes of the business that will add value to potential clients and help determine the best approach forward. For the past 25 years Richard’s career has focussed on developing robotic applications and how to enhance these with the use of measurement data. 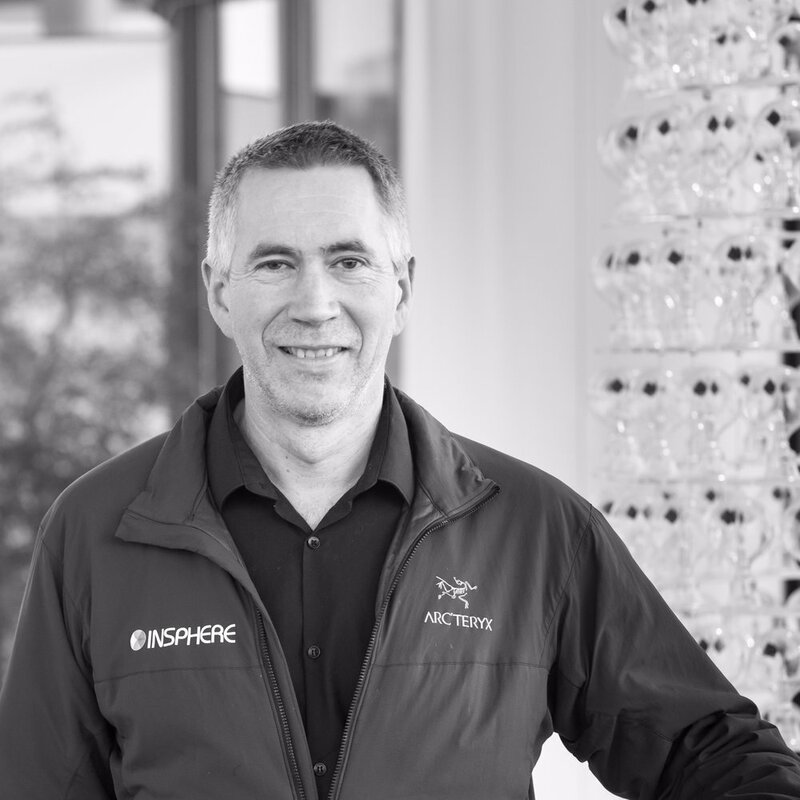 With previous roles at Metris, Nikon, Hexagon, the MTC and KUKA, Richard has a broad range of experience in robotic and metrology technologies and the fundamental science that drives them. He has played a key role in developing new technologies such as real-time feedback from a laser tracker to industrial robots and calibration of robots using photogrammetry based methods. Richard is currently leading the technical developments under several of the research programmes at INSPHERE. Solomon joined the team from CERN where he worked on a PhD on the uncertainty of frequency scanning interferometry systems as part of his wider research support into the use of large volume metrology in particle accelerators. Solomon now supports a range of activities at INSPHERE from leading one of the research projects to delivering NPL Dimensional Measurement Training. We Are Recruiting! Click on the vacancies below to download the job description.